The RE/MAX Eagle Rock team in Loveland, CO, hosted a pancake breakfast to raise money for Children’s Hospital Colorado. The event also included face-painting, a silent auction and tethered RE/MAX hot air balloon rides. 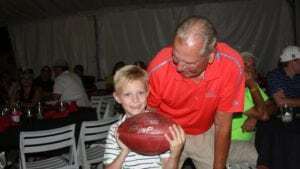 This year marked the 23rd annual Children’s Miracle Network Golf Tournament and Auction Dinner hosted by RE/MAX Alliance Metro Denver. The event raised $80,343! 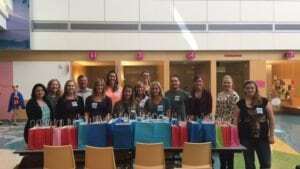 The team from the RE/MAX headquarters in Denver hosted craft parties at Children’s Hospital Colorado. The event gave employees the chance to interact with children at the hospital while making some fun crafts. The team also assembled and donated 100 activity bags to keep kids entertained while they wait for appointments. 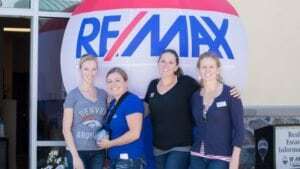 To see more of the activities the RE/MAX team hosted please click here.